Every recruitment campaign begins with a plan, even if that is a plan to “wing it.” This past April I initiated a large scale arts recruitment campaign at our church. I had been talking about this for months, but I finally got around to it in April. Fortunately I had more than a plan to “wing it.” Unfortunately I had been so busy that I had little time to get it done. I am very grateful to the volunteers who helped make this campaign happen. I am learning tons from this process and I hope by looking over my shoulder you will discover ideas of what to do or what not to do. Discover and enable as many artists as possible to use their gifts to glorify God and encourage others. In order to do this I wanted to create an image, a brand, if you will, for the campaign itself. I also wanted this brand to work well with the church so that I could use it again in the future and not have to always recreate the wheel. We printed this out as a 6 foot long canvas banner. Announce the campaign in the services and project the banner. Place a big ad in the bulletin. Have a sign up table in the lobby under this beautiful banner. Have a series of live performances in the lobby called Live in the Lobby, one each week during the campaign. This last one was new for me. We do not have a huge lobby, but we do have an area that can be cleared out and adapted for various uses without disturbing the traffic patterns. The plan was to highlight one of the areas in the arts each week. Week 1 I invited musicians to play and sing live music before and after the services. Week 2 I began working with a painter in the church to set up a gallery and have him painting live on Sunday morning. Week 3 I invited the drama team to do something interactive with the people. To cement the call for artists into people’s minds as they enter and leave the auditorium. To draw attention to the place in the lobby where people can sign up for more information. To engage people in discussion about art as a part of worship. I also wanted to do something extra related to the arts in the services each of those weeks. Week 1 have a cool special song, week 2 incorporate the visual arts, and week 3 have a dramatic element in the services. As my assistant and I recruited people to help with sign ups and Live in the Lobby performances, I even created guidelines so that volunteers would know what is expected of them. This piece was a new one for me as well. Direct interested individuals to the handouts we will provide. Share how you are involved in worship at CLC. Answer the questions you know and direct other questions to Maurice Overholt. Begin playing/painting/acting the moment the service ends. I also wanted to have a social media presence during this time to keep the buzz going throughout the week. That was the plan. In my next post I will share what really happened, so stay tuned! Planning Center Online (PCO) is a powerful resource for churches, but it can also be complicated. Permission levels is one of those potentially confusing features. The other day I noticed that our setup of PCO had 10 people listed as Administrators at the Site level, which is inviting disaster to camp out on your doorstep. I have since adjusted permission levels accordingly. Let me share my reasoning with you. Several years ago I was editing categories for my people on PCO and I decided that a particular category was incorrect – not matching across the program. I deleted it. Then I found out that I had just deleted all of the activity under that heading throughout my PCO history. Oops. Those are the kinds of things that can happen when someone has Administrator privileges and does not know what they are doing. Needless to say, I am much more careful now, and I train people to watch out for those hiccups. Scheduled Viewer: Can only view plans that they have been scheduled for and that the notification email has been sent. Viewer: Can view all plans & songs. Scheduler: Can view all plans & songs. Can edit & schedule people. Editor: Can edit all plans, people & songs. Administrator: Can change permissions for the service (templates & categories). Scheduled Viewer: Use this level if you want the person to only have access to song, plan, media and people information when they are scheduled for an event. At all other times they will only be able to access their own personal contact information and calendar. Viewer: A person with this permission level can always access songs and media, view plans, and see contact information for other people, whether or not they have been scheduled. Scheduler: Use this level for volunteers who help you schedule people. They can edit people information, but they cannot edit anything else. In every other area they are at the same level as a Viewer. Editor: Volunteers who help with service planning, people management, and song entry need this level of permission. These people are only restricted from global ministry category and template editing, which is reserved for Administrators. The Site level permission setting determines the default permission level for the person throughout PCO. If a person is set as a Viewer at the Site level they will have Viewer privileges in every ministry. If a person is an Administrator at the Site level they will have Administrator privileges in every ministry. Disabled: User cannot login and is excluded from all emails and is not able to be scheduled. This modifier is only used at the Site level. Same as Parent: Will use the same permissions as the group above that service. If there is not a group above it, it will inherit the site permissions. This modifier is only used at the Ministry level and is the default setting. I recommend Scheduled Viewer as the default setting for every volunteer and guest artist. 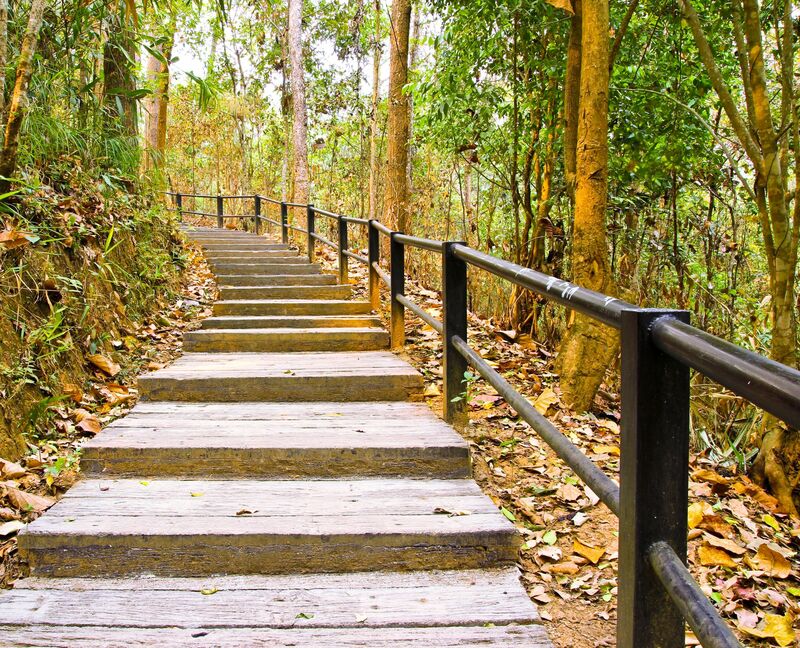 If you have people who are Administrators, Schedulers, or Editors you will want to decide if you want them to have those privileges in every ministry or just one ministry. If your answer is every ministry set the Site permission level to the proper setting and leave the Ministry permissions at Same as Parent. If your answer is just one ministry, then set the Site permission to your default permission for everyone (in my case, that is Scheduled Viewer) and then give them the proper permission level for the specific ministry. Then make certain the other ministry permissions are set to the default level as well. Permissions are also what give people access to the main top tabs (Plans, Media, Songs, People). If you set a site or ANY permission to Viewer, those people can now access everything on the songs tab, the media tab, and the people tab. They can listen to and access any files and get to other people’s contact information. For this reason, we generally recommend you leave the site permission set to Scheduled Viewer unless you really want the person to access everything in all the other tabs. From a song copyright standpoint and a people privacy standpoint, it’s usually not ideal to give this access to your regular volunteers. There is a way for you to change a master site setting so that Viewers can’t see the people page, but they will still be able to get to the song and media pages. What strategy do you use in handling PCO permission levels? The Hatfield and McCoy families were at war with each other in the latter part of the 1800s, resulting in the death or imprisonment of dozens in their families and many more outside their families. At one point Kentucky and West Virginia almost went to war over the feud. 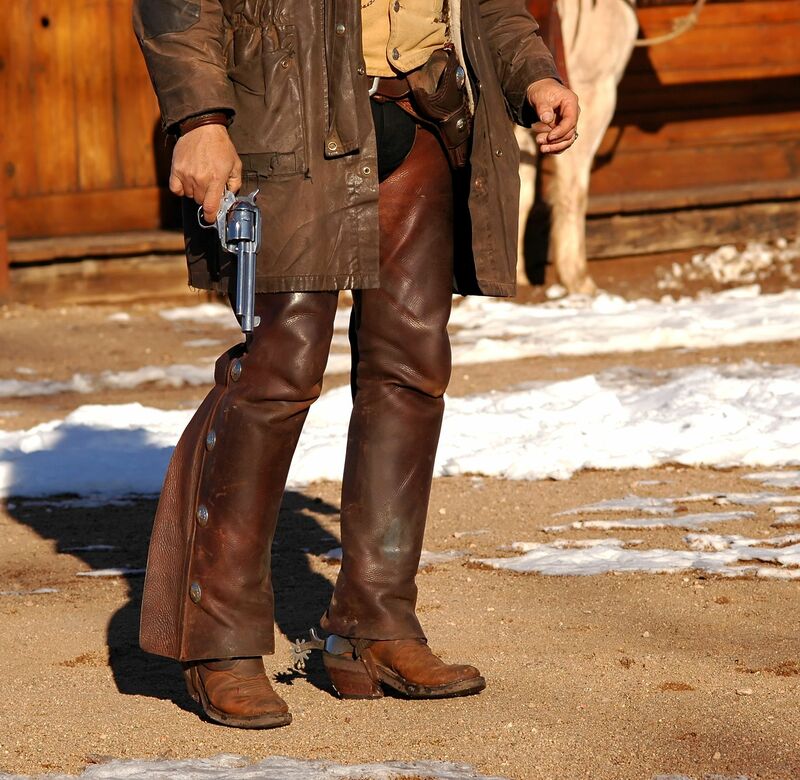 In May of 2012 the History channel ran a three part miniseries on the feud, drawing record numbers of viewers. Too often church members wage decades-long battles with each other over worship issues. We exchange angry and sometimes vengeful words with each other. Not long into my first church job a long-time member marched into my office and pronounced firmly that she and 23 others all felt we should never do drama in the traditional service. This church had three services and two styles and the arguments over worship style had been raging for almost 10 years by that time. Over the next eight years I got a first-hand taste of the Hatfields and McCoys worship style. Bitterness. In 2 Samuel 2 the armies of Israel and Judah were fighting each other and Abner, commander of Israel’s armies, said this to Joab, commander of Judah’s armies: “Shall the sword devour forever? Do you not know that the end will be bitter? How long will it be before you tell your people to turn from the pursuit of their brothers?” Joab then called off the pursuit of Israel. Self-righteous indignation. Worship wars are usually fought because one group claims the high moral ground over another group. Each group has it’s own standard of right and wrong and nothing can persuade them otherwise. Love. 1 Corinthians 13 says, “The greatest of these is love.” God’s currency is one of love, grace and forgiveness towards those who wrong you or disagree with you. Love brings more freedom than you could ever protect by being bitter and self-righteous. Humility. Christ gave us the ultimate picture of humility when he came as a child to save us. He actually had the high moral ground and he gave it up to save us. When he rose from the dead and proved he was the Christ, he did not flaunt it but gave credit to God the Father. P.S. The Hatfields and McCoys of today are very much at peace with each other, showing that even the staunchest of enemies can be reconciled. How can you demonstrate more love and humility in your worship discussions? 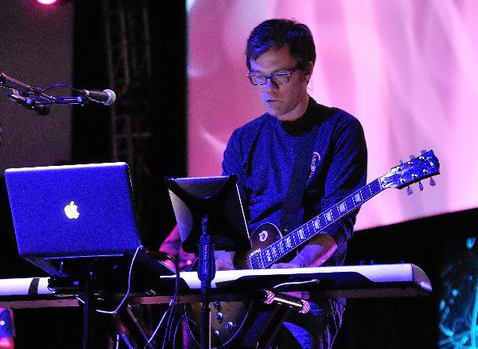 Kevin McPeak is the Creative Director at EastLake Church in Chula Vista, California. He is a proponent of both tubes and digits. You can follow Kevin on Twitter @kevinmcpeak or find him on Facebook. 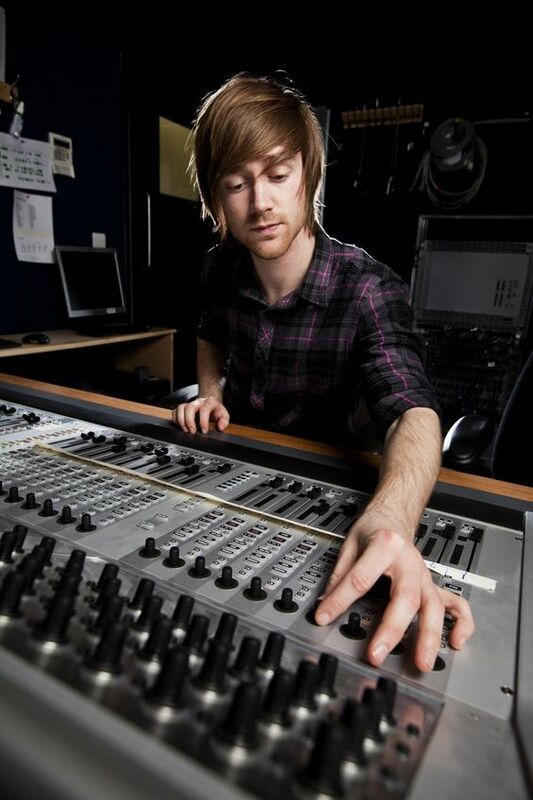 Kevin has kindly agreed to lend us some of his expertise in technical issues and will be posting from time to time. Q: I play electric guitar and love my amp sound, but we donʼt use amps on stage because of stage volume. Is there some way I can use my amp so it does not impact stage volume? stage volume dramatically limits the FOH engineerʼs ability to create a thoughtfully and musically designed mix. So letʼs be clear: amps arenʼt the problem in and of themselves; the problem is that amps tend to get treated like personal monitors and turned up too loud. Furthermore, many amps donʼt sound their best without running at a decent volume. How the heck do we solve the problem? Letʼs say that youʼve already got a combo amp – in other words, a single unit that has both the amplifier section and the speaker – that you love and you donʼt want to purchase an external cabinet or haul around something big. What can you do then? 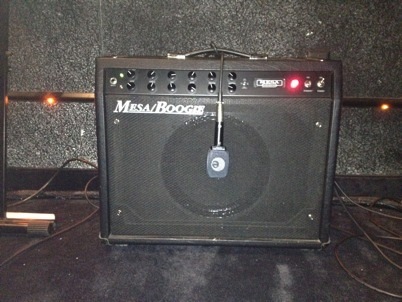 In our case, we have an all-tube Mesa Boogie combo amp that our electric guitar 2 volunteers generally use. Although the amp can power an external cabinet, the amp already contains a perfectly matched built in 12” speaker, so we asked one of our volunteers to construct an iso cabinet for the amp. As you can see, itʼs effectively a four-sided cube. (For those of you trying to figure this out, a cube is a six-sided object with equally-sized sides. In the case of the iso cabinet above, we have a cube with no bottom and one side missing. You can see that the idea is to point the business end of the amp into the box. The top and interior walls are lined with sound baffling material and the floor takes care of itself by being carpeted. (If your stage floor is a hard, flat surface, you may want to throw a small rug in there.) This all works together to create a tremendous reduction in the sound output from the amp. 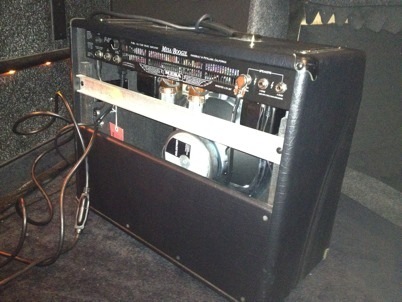 However, there is a catch in this case, and itʼs a very important one: this combo amp has an open-back cabinet. As you can see, the back of the amp is open. (Thus the name, right?) Many guitarists prefer the tone produced by open-back amps. 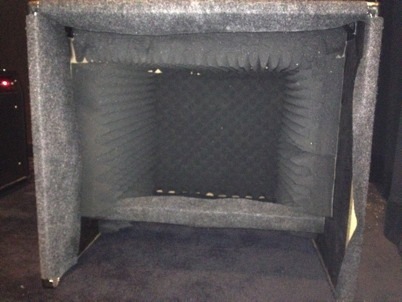 Open-back cabinets create a challenge because the back of the cabinet emits quite a lot of sound; putting an isolation box on the front of the amp only solves part of the problem of lowering stage volume. In our case, we solved this problem by placing the amp off-stage, behind a thick curtain, and against a Tectum wall. 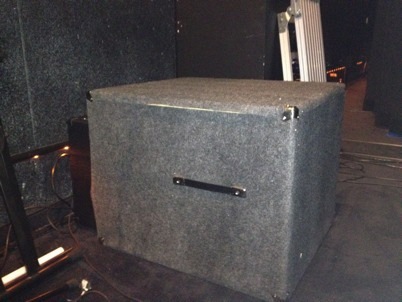 You could also create a matching iso box for the back side of the amp to limit the sound coming off the open-back side. Make sure, however, that you allow sufficient airflow in and out of the amp because the amp will overheat and fail without airflow. Have another technical question you would like Kevin to answer? Post your question in the comments.